I created a power meter based on emoncms. My code does not work quite correctly. When I run not everything is fine, but after reboot gets below the value of information and does not update. emon1.current(A0, 29.1);       // Current: input pin, calibration. emon2.current(A1, 29.1);       // Current: input pin, calibration. emon3.current(A2, 29.1);       // Current: input pin, calibration. I have emon energymonitor but trasmission is with RFM12B radio!!! and i assume this should just work with the sketch you are working on? My hardware is on photo. I prepare hardware from emoncms site for 3 phases. My sketh working good so far about 3 weeks. My controler is pidome and send values to emoncms on mys NAS. @maglo18 Is that 3 transformers in that box? @maglo18 How to transmit data to emoncms? I use Pidome server and by automation rule send values to emoncms.. I've been looking in to this for quite some time. Here in the US, our residential wiring is usually 220V "split-phase" where we have a neutral/ground connection that allows us to get 120V from either "leg" (not to be confused with phase) to "ground". If you go "leg to leg", you'll get the full 220V of the phase. Do the "V*I" math to calculate power, etc. Most US based solutions call for only one transformer/leg-measurement. However, I have seen an imbalance in my utility power. I'm not sure if this is due to underground resistance, faulty utility transformers, etc. But my point is, I think it'd be safer to measure both, do my calculations separately, and then add them accordingly (in software) to get total power consumption. Can you expand a bit on my thoughts? Has anyone in the US been successful in my above approach? @maglo18 why do you need a transformer ? my owl ones work on battery, couldn't that simplpify the sketch ? @maglo18 how many is your burden resistor ? If found a blog where he talk about of turn in the sensor, do you know how many is it ? I have at home some OWL CM180i that work on batteries... how can it be applied to the example here ? Have anyone integrated this with Openhab? can we find somwhere some Openhab items, rules for this sketch that @maglo18 posted here http://forum.mysensors.org/topic/1464/sct-013-030-current-monitor-sensor? 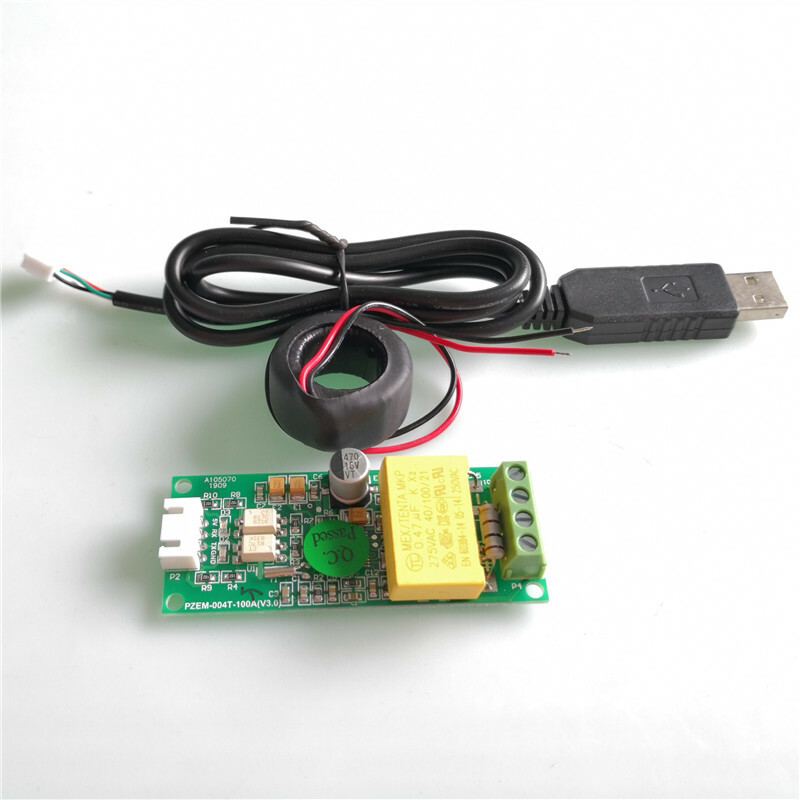 Did anyone worked with this sensor SCT-013-000 and Openhab? I would like to ask how can I integrate this with Openhab so to be able to display the apparent power consumption in watts, to display the Kwh starting a certain date lets say starting on 12th this month or from today as for example and to display to total Kwh. @maglo18 where are you from? Any help or suggestion will be kindly appreciated. Can you share your latest Arduino sketch or if you have a complete tutorial about this project would be helpful. unsigned long SEND_FREQUENCY2 = 300000; // Minimum time between send (in milliseconds). We don't wnat to spam the gateway. emon1.current(A0, 29.0);       // Current: input pin, calibration. emon2.current(A1, 29.0);       // Current: input pin, calibration. emon3.current(A2, 29.0);       // Current: input pin, calibration. Hi Nice job hère ! Do you think your sketch can work with this ? I want to do a similar sensor, with 3 or more Amp meter but just one voltage. Is it possible ( or a bad idear) to use transformer for measuring voltage and use as power suply (with regulation 5v and 3,3v) for sensor? You can use one voltage and use few Amps but only on one phase . If you want to measure Amps on other phases you should add another voltage meter on each phases. For precision, I've just one phase at home, but I want few Amps meter for different "sectors" of the house. My question was: Is it a good idea to use the transformer (I've a AC 220V to AC 12v 3VA) for both using: power supply of the sensor (with rectifier bridge and capacity and regulator) and for voltage meter (with divider bridge as you do in your sensor). Or it's a bad idear: Is it possible, in this configuration, to generate a voltage variation when arduino send informations? Where do I get the calibration of a SCT-013-000 from. I found this description https://openenergymonitor.org/emon/buildingblocks/ct-and-ac-power-adaptor-installation-and-calibration-theory but unfortunately, I've no idea how to measure the correct calibration. As far as I understand this article, there could be a total error of 19.5% in uncalibrated case. Help me please, I have a SCT 013-000 sensor but i do not have python program code. I want to use these sensors to measure electric current power. The sensor is connected with raspberry pi.